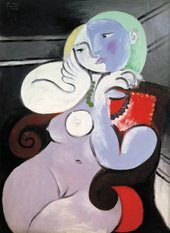 Tate Members with the London Private View extra get the opportunity to see Picasso & Modern British Art before the public at a special preview day, or at one of four special evening events. Enjoy Picasso & Modern British Art after hours followed by drinks at a cash pay bar. The Migrations exhibition will also be open. Invitations arrive three weeks before the exhibition opens. There’s no need to RSVP, just bring your invitation and membership card. Upgrade your membership for £30 – call 020 7887 888 or email members@tate.org.uk. If you are not currently a member, join today.